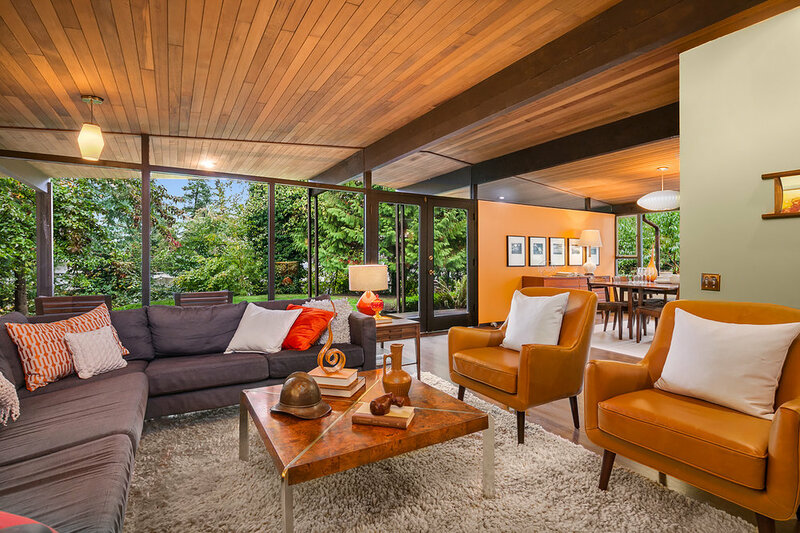 Live out your Mad Men dreams in this sunny mid-century home on the South End of Mercer Island. 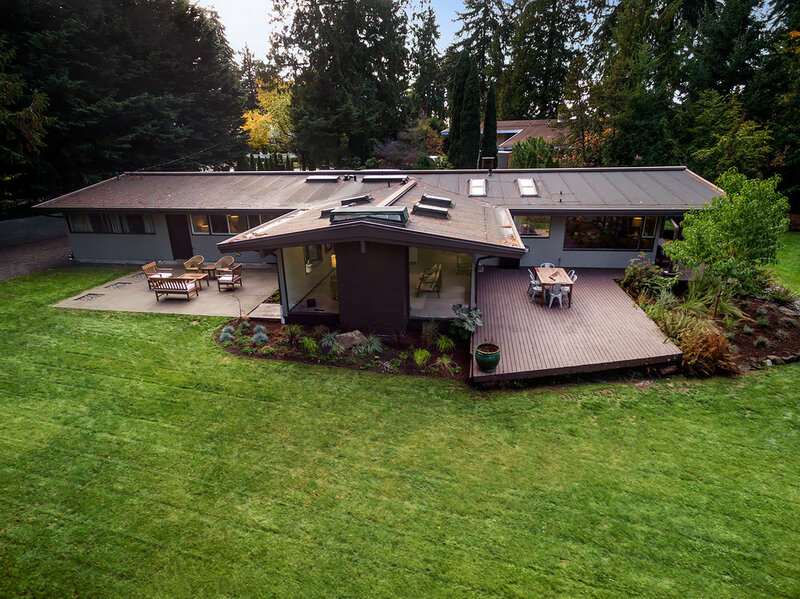 This 19,800 square foot lot is home to a piece of architectural history designed by Fred Bassetti and built by Theo Caldwell. At the end of a quiet, four-home lane, this property offers privacy and room for outdoor entertaining and play. 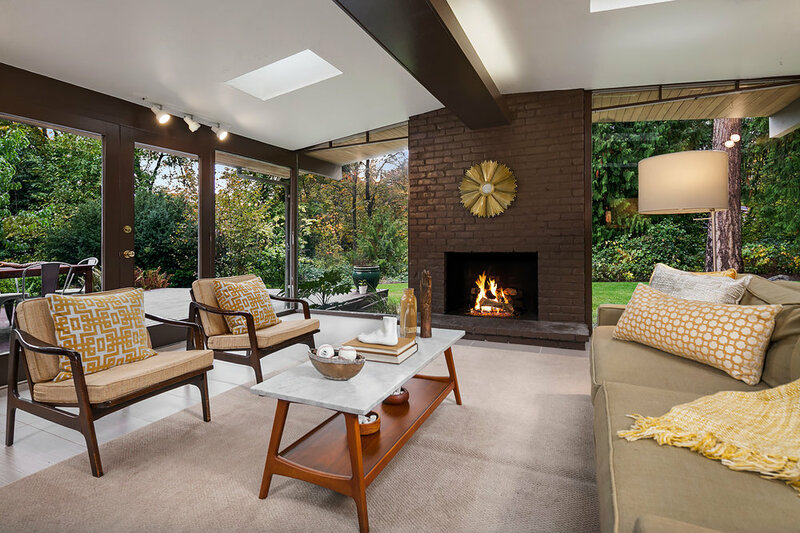 Walls of windows bring the outside in and take advantage of a private setting in the midst of old growth trees, sprawling lawns and mature landscaping. The renovated kitchen features period details, large island, newer appliances and a custom tile backsplash from Heath Ceramics. This home includes a large master bedroom with en suite bath plus three additional bedrooms, full bath, laundry room, two-car garage and open spaces that live larger than most homes this size. All of this just a half a mile to award winning elementary and middle schools and twenty minutes to downtown Seattle and Bellevue. Offered at $1,095,000. View more details here! This home sold for $1,193,000.